Modular synth fanatics can be pretty silly—or quite obsessive—at the best of times. So what should stop them from joining in on the joy of the silly season? Nothing, that’s what. Every year around this time, a number of modular enthusiasts’ patches take on a distinctly seasonal cheer. (Anyone remember the Christmas tree modular jam from a few years ago?) 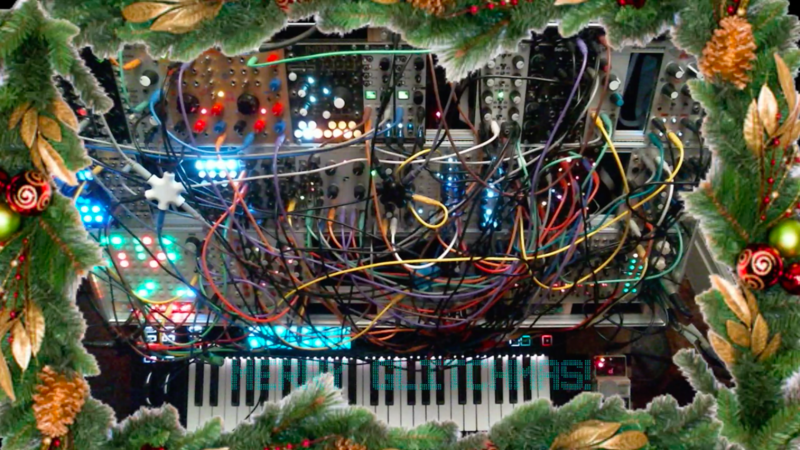 One of the more bizarre things we’ve heard so far this year is the 24/7 Twitch livestream below of a modular performing everyone’s favorite carols and songs. This year, let Twitch user “slaughtrhaus” add some extra glitches, pops and modular flourishes to your holiday soundtrack. We’re sure your family will love you for it. Check it out all the madness via the Twitch stream above. These songs will never sound the same again. Merry Glitchmas!